Artist Trading Cards are a whole new "movement" in the art world. The idea is to create original, miniature works of art and then swap, trade, and collect Art Cards by your friends and other artists. 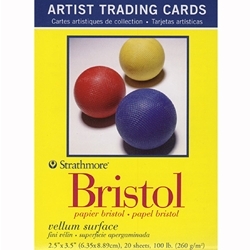 Artist Trading Cards are available for just about every media; both wet and dry. There are even envelopes to hold your finished cards.